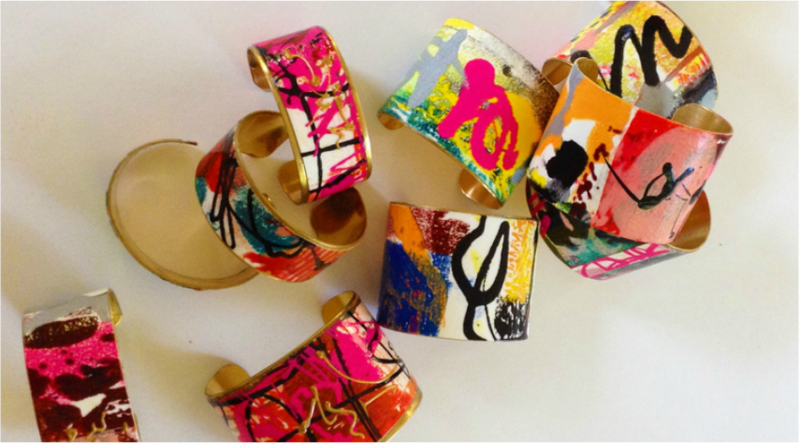 Paula Desimone designs distinctive, hand crafted one of a kind wrist cuffs. Made with mixed media on metal. Each piece is created using colorful patterns and designs that are finished with a high gloss sealant to insure durability and years of wearability. Elements found in nature inspire the original patterns. These cuffs are available in one, two and three inch widths.